I love the look of distressed denim. It just adds texture to an outfit. It’s fun to have that extra little edginess. 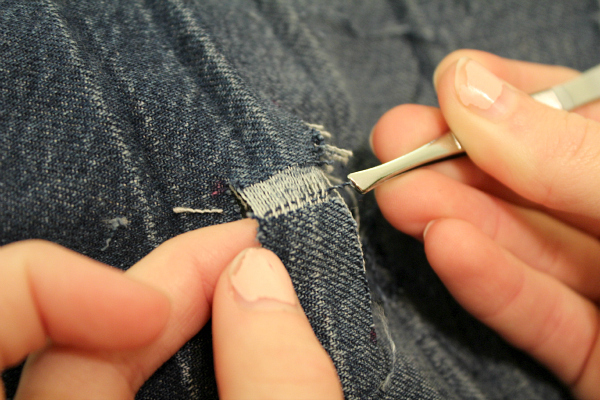 Or if you find a pair of jeans that fit perfectly but they are not the distressed style you were looking for, what can you do? You can add your own touch of distressing. Putting holes into jeans is really simple. 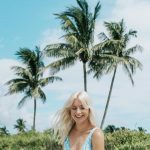 You can pick and choose how distressed you want them. 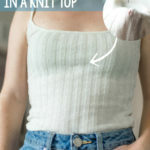 Or you can use a pair of old jeans and give them a refresher. 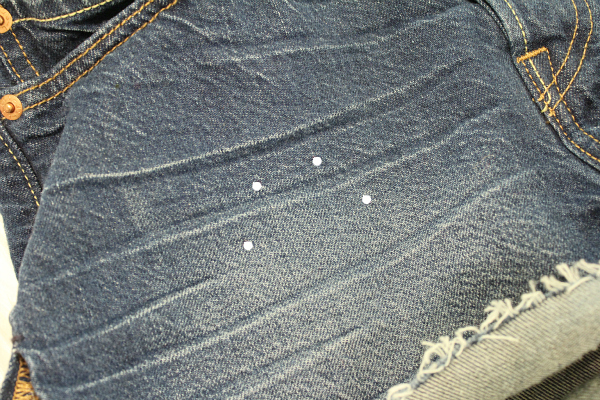 It is super simple to add holes into jeans. It’s also pretty fun to do. 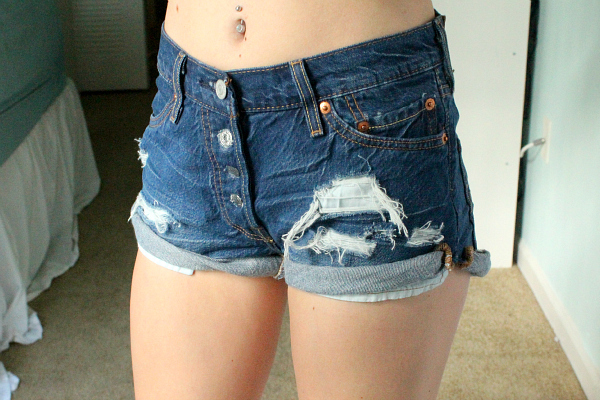 You can use an old pair of jeans or jeans shorts, or a new pair. You can even turn a pair of your jeans into shorts, just be sure to leave enough denim on each leg so that you can roll them up. The pair of shorts that I am using are Levi’s 501. Try on your jeans and mark wear you want to put the holes at. It’s best to use a white marker. I used a purple marker and you can barely see it in the pictures so I marked the spots with white dots. You can make these holes bigger later on. Now cut from dot to dot horizontally with your scissors. Here is the fun part. Take your tweezers and pull out the fibers on the area in between the two cuts you just made. You don’t have to be very careful at this part. 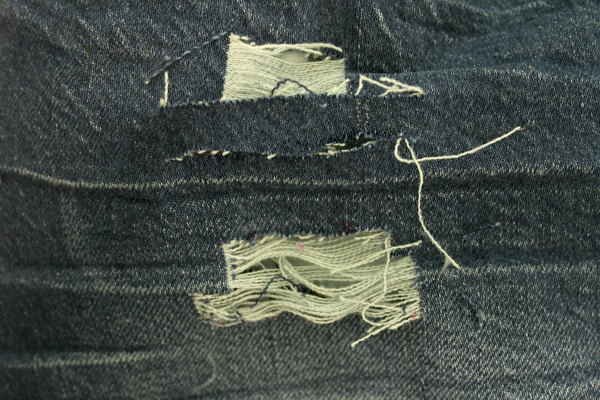 To get the fibers loose you can just start picking at the area until they come loose and then you just pull them out. Once you get a few out then the rest come out like butter. Now you can add more cuts and holes as you wish. Just be careful not to make any vertical cuts or else you won’t have those white fibers. Also, don’t cut any holes too close to the crotch area. Make sure your pockets will cover your holes if you don’t want any skin to show through. I also wanted my buttons to all show through so I just cut little slits for them. 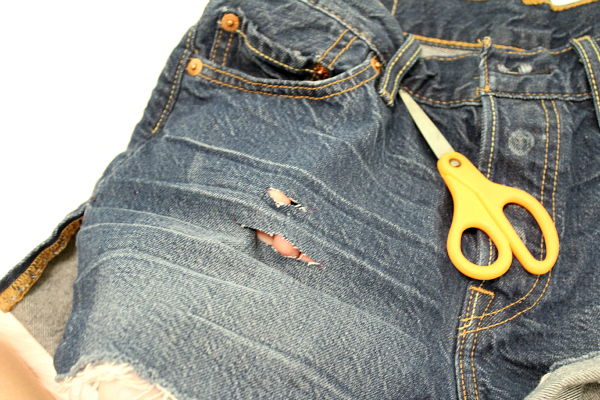 After you have distressed your denim as much as you want, you can them wash them and it will soften up the harsh cuts. 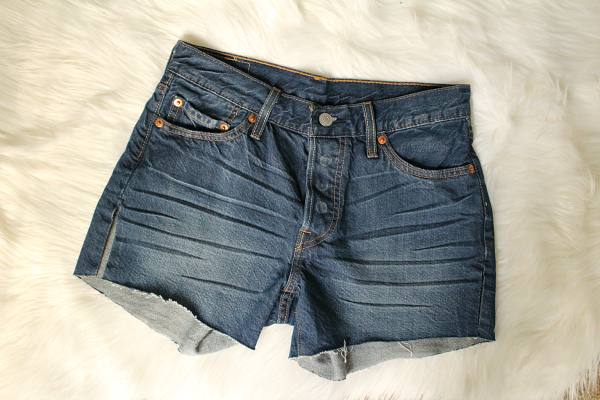 Then you are left with some pretty cool distressed shorts. Have you ever distressed denim? Excellent way to make ripped jeans. I saw a similar process here https://www.youtube.com/watch?v=UX9nMCmN1wc. I really like your article.